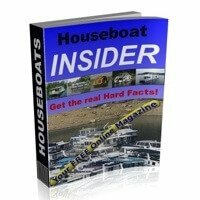 The free houseboat classifieds are the #1 place on the internet to buy & sell houseboat (and houseboating related items). 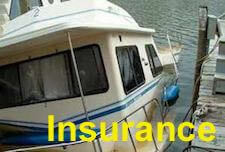 The site is visited by 1000's of people per day, so the ideal location to buy a boat, or to sell one quickly. Get the TOP-10 Selling Tips. Get started, simple as 1-2-3. To ADD Photos, log-in, click Edit Ads, click Add/Edit Multimedia, click ADD Multimedia, than enter your AD#, and below it choose file(s) to upload. Limited to 5 photos per ad. NOTE: Uploaded photo file size is 250 KB, and 1000w x 1000h pixels in dimension. After clicking the Post my Ad button, the following page asks you to choose/upload your photo's (multimedia). 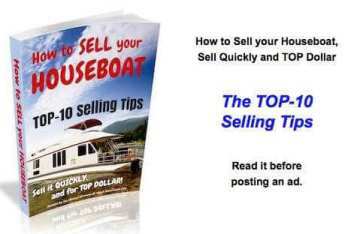 and get yourself a copy of "How to Sell your Houseboat" ebook. * If the free classified ads help you, a donation helps keep it free. Thousands of high traffic visitors means targeted buyers. Database Server stability, provides a high 99.9% uptime. All visitors can browse, advanced search, and auto notify. Monthly advertising in our Houseboat Insider magazine. Large traffic exposure directly from the site home page. 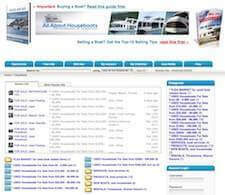 The "houseboats for sale" page is our busiest category. You can add, modify, edit, or delete the ad at anytime. 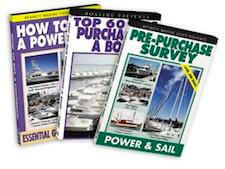 Get our "How to Sell your Houseboat" ebook for $5 off. Prospective buyers can send emails, or by telephone calls. With over 1/2 million visitors, the right buyer is only a click away! Our Houseboat Classifieds are an excellent and simple way to get high traffic exposure, resulting in hopefully a quick sale. With thousands of targeted visitors looking for houseboats for sale, put your classified ad where the visitors and buyers are looking. Why you want to place an ad in our classifieds. We've built a huge website with over 1210 pages of SEO keyword focused content. 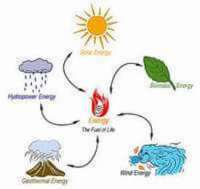 Our site is highly ranked in the search engines, and is very likely one of the first sites that internet searchers land on. 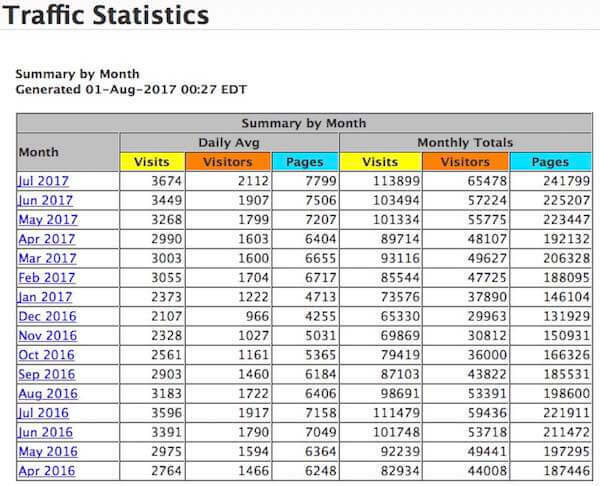 Statistics show we're found for over 28,434 keywords, and coming from more than 2,510 referrers like Google, Yahoo, MSN, and many other sources. Join us, and you get to display your ad out on the front line. What TYPE of Prospective Buyers? Are you a houseboat owner, or private seller and are looking for a high traffic, effective source for prospective buyers? The sites classified ads are the highest traffic topic on the website. Houseboat loans & financing companies, marine surveyors, boat transport companies, boat storage companies, mechanics and repair businesses, houseboat marinas, and so many other service related businesses. Whether you manufacture or distribute equipment, parts, or supplies like engines, motors, stern outdrives, engine parts, dinghy's, small boats, electrical, mechanical, electronics, anchors, navigation, plumbing, safety, ventilation, heating, cooling, or miscellaneous equipment, this section is for you. 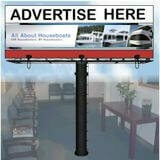 You likely want to attract prospective buyers to your inventory of houseboats. 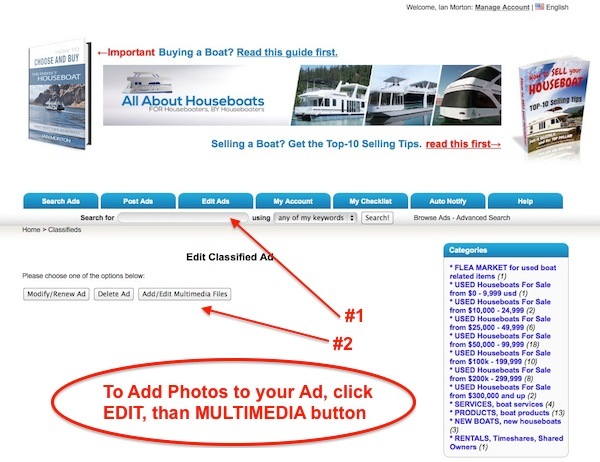 You can showcase a different houseboat each month, or with multiple ads, you can advertise your used, new, or trade-in models. Adventure Craft, Blue Water, Campanoe, Catamaran Cruisers, Desert Shore, Destination Yachts, Emerald Bay, Fantasy Yacht, Gibson Houseboats, Harbor Master, Holiday Mansion, Horizon Yachts, Lakeview, Majestic Yachts, Monticello, Myacht, Nomad Houseboats, Orca, Pluckebaum, Sharpe, Skipperliner, Stardust Cruisers, Starlite, Sumerset, Sunseeker, Sun Tracker, Sunstar, Thoroughbred, Three Buoys, Travelwave, Twin Anchors, Waterway, and others. Are you looking after houseboat rentals and vacations, or possibly you have houseboat timeshares or shared ownerships available, this section is specifically made for you. Return to the Houseboat Classifieds page. Like to Contact Us for more advertising options?